OMG… I think I am Pregnant….!!! 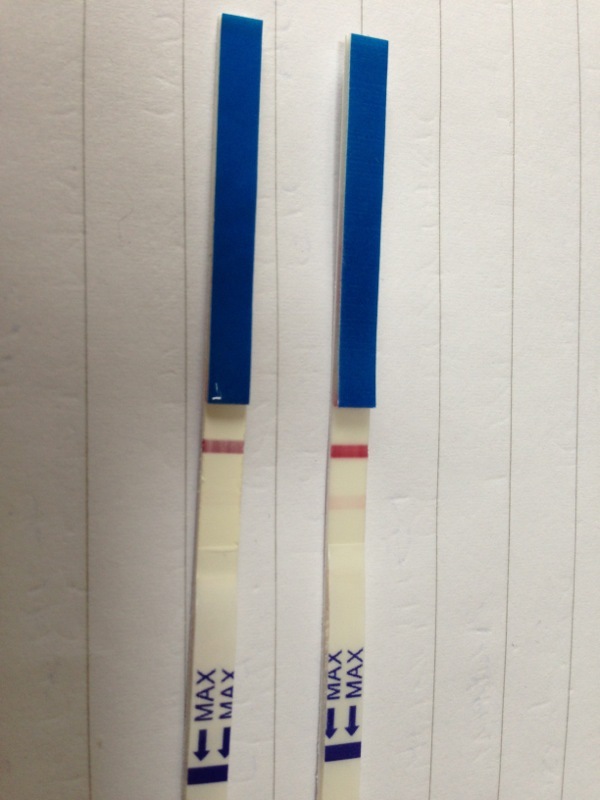 Ok so on the left is this mornings test… on the right the one I just took, and bloody timed, so I wouldnt have any worries about it being incorrect…. One line might be faint…..
BUT…. it’s not just me is it…?? OMG…. am I actually pregnant? I think I’m in shock! Ahhhhhhhhhh I am sooo excited!! Just got to keep thinking sticky thoughts!!!!! Looks positive to me! Congrats! Lots of sticky baby dust to you. Looks like it! Congratulations! Take deep breaths and try to stay calm!